An amendment in the Representation of People (RP) Act - that proposes to disqualify a candidate from contesting elections if a chargesheet has been filed against him for any crime where the prison term is not less than seven years has been deferred. The draft bill proposed that such politicians shall remain disqualified from contesting polls till his acquittal or six years after serving the prison term, which takes the minimum disqualification period to 13 years. The proposed amendments also for the first time provided that on furnishing of a false affidavit before the EC — which is mandatory for every contestant—a politician shall stand disqualified from his seat and subsequently debarred from contesting any election for a period which shall be the term of the sentence and six years thereafter. 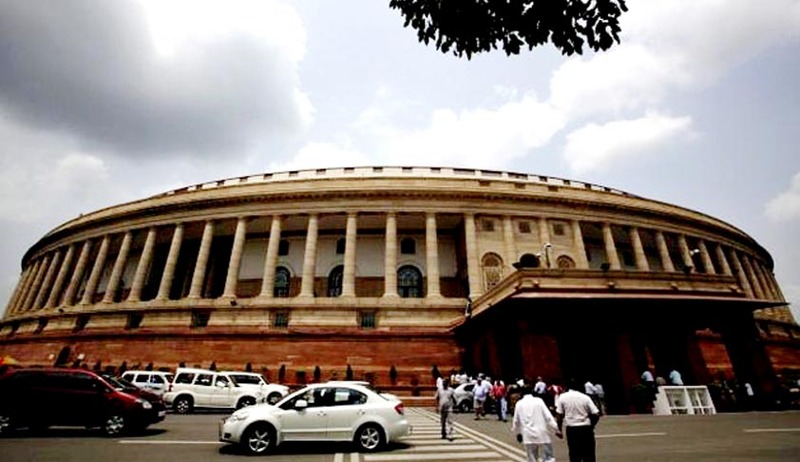 The proposed changes in the draft RP Act (amendment) Bill was ready during the previous UPA regime but could not be tabled in Parliament for lack of consensus among leading political parties. the Prime Minister and the Chief Minister of the State, who themselves have taken oath to bear true faith and allegiance to the Constitution of India and to discharge their duties faithfully and conscientiously, will be well advised to consider avoiding any person in the Council of Ministers, against whom charges have been framed by a criminal court in respect of offences involving moral turpitude and also offences specifically referred to in Chapter III of The Representation of the People Act, 1951. An analysis of affidavits submitted by the winners of 2014 Lok Sabha elections reveals 185 MPs in the current Lok Sabha (LS) have declared criminal cases against themselves. This is almost 34% of total LS MPs, compared to 30% in the previous Lok Sabha. The analysis was carried out by the Association for Democratic Reforms based on affidavits submitted by candidates to the Election Commission (EC). About 21%, or 112 MPs in the LS have reported serious criminal cases against themselves, including charges of murder, kidnapping and crimes against women etc. This was only 15% in the previous LS. Two of these MPs have reported cases related to crimes against women related to kidnapping, abducting or inducing to compel her marriage, etc. (IPC Section-366). The law ministry had finalized the draft bill after consultation with the law commission and suggestions received from the EC. This bill would have been a welcome step to decriminalize politics.However, seemingly to gain support for, contentious bills such as the insurance laws amendment bill and the goods and services tax the draft RP Act amendment bill is in abeyance.